Leave your hotel in the morning with our English speaking driver for go to Arezzo, one of the wealthiest cities in Tuscany, due to its tradition in gold-smithery. Located in southeastern Tuscany, it sits atop a hill (where else?) at the crossroads of four valleys: the Val Tiberina, Casentino, Valdarno and Valdichiana. Its ancient origins are verified by the stone tools discovered here and found to date back to the Palaeolithic era. The Etruscan Aritim was founded around the 9th century B.C., and quickly became one of the most important cities in Tuscany, playing an important role over the centuries due to its strategic position along the Roman Via Cassia. The city is famous for its old town and its architectural wonders, and lately for being set of famous Roberto Benigni film “Life is Beautiful”. Free time for visits thanks to the suggestions of our driver. After three hours continue the tour with Cortona, enclosed by stone walls dating back to Etruscan and Roman times, sits on the top of a hill about 600 meters (about 1968 feet) above sea level. This dominant position over the valley offers a spectacular view from all over the town of the surrounding valley and even Lake Trasimeno. The town has become very popular in the past decade thanks to the book by Frances Mayes, Under the Tuscan Sun (and the movie with Diane Lane) which is set in Cortona; the protagonist immediately falls in love with the town, its people, and the villa Bramasole that she purchases and fixes up. You can in fact take a pleasant walk around the town (a one hour circuit with a good hill component) which includes walking past Bramasole. 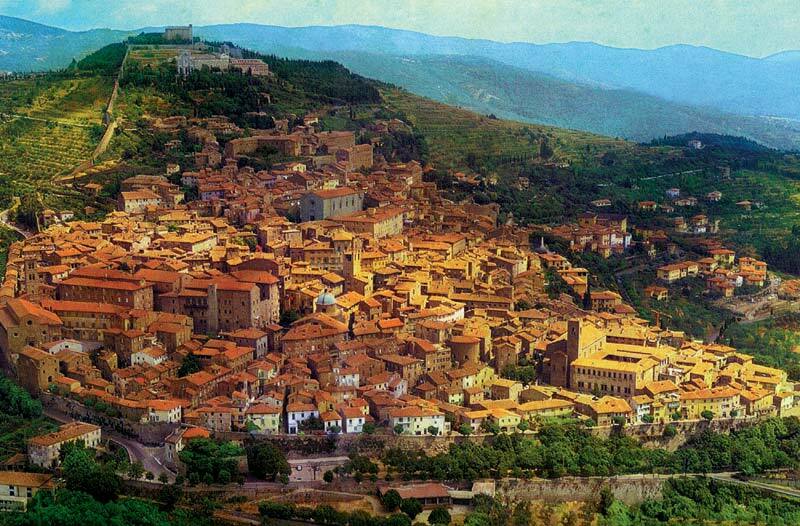 If you want to learn more about Arezzo, why don’t you hire our tour guide for a couple of hours?